I don't know about you, but my shoulders and neck constantly store tons of tension. Between sitting at a computer all day and beating them up in almost every CrossFit workout, my upper body needs a lot of love. I've found that if I fail to work out the tension that builds up over time, I end up paying the price with a few days out of the game because of a shoulder tweak or tricep tear. This is why mobility is critical. When I take the time to mobilize, my injuries are fewer and fewer, which means that my time on the bench is shorter and I'm a much happier person. 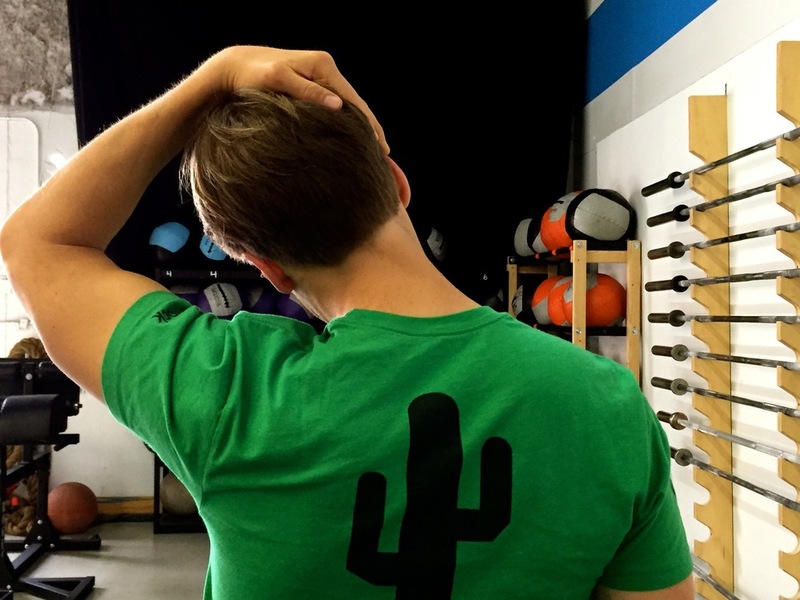 Today's mobility homework focuses on the shoulders and neck. If you have your deck of cards, you will find these movements in there. The cards will include a yellow triangle to indicate that the exercise focuses on the upper body. If you need more information on how to read your cards, visit our How To page. To perform this exercise, place your left hand over your head on the right side. Allow the weight of your arm to pull your left ear toward your shoulder. Hold the position for 15 to 60 seconds and then switch and perform the same movement on your other side. Starting with the Ledge Stretch, back up to a waist-high surface. Place your hands on the surface with your fingers facing backwards and your palms facing down. 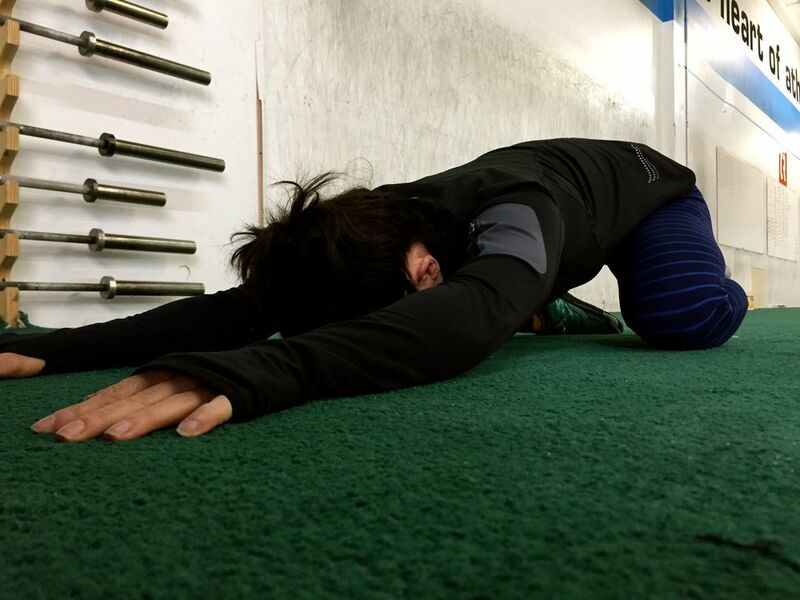 Lower yourself by bending your knees. Remain upright and keep your shoulder back. Hold this position for 30 seconds to 1 minute. Feel free to repeat if you need more stretch. Next, is the Face Down Thumbs Up exercise. Lie on your stomach with your face down, resting your head on an abmat or your fist. Extend your right arm forwards and turn your hand so your thumb is toward the sky. Lift your arm and hold for 5 seconds. 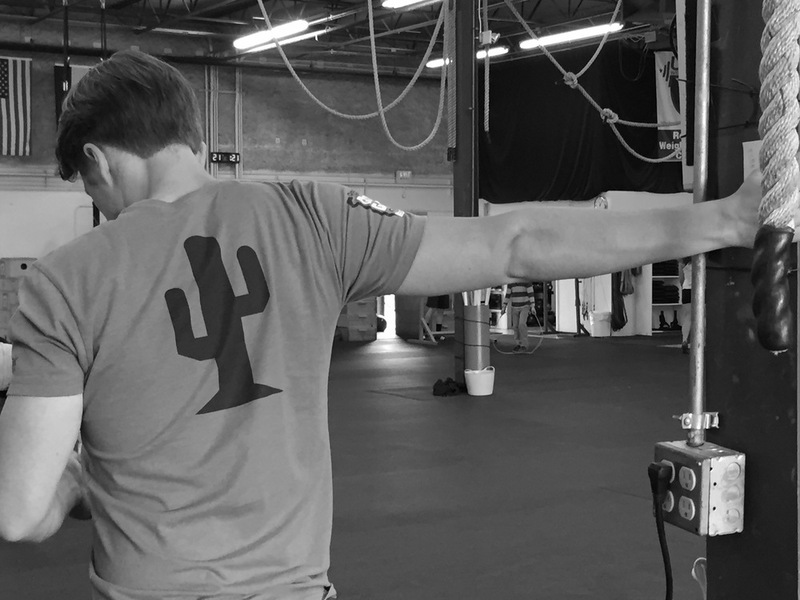 Repeat the movement between 6 and 10 times and then switch sides and perform the movement on your left arm. 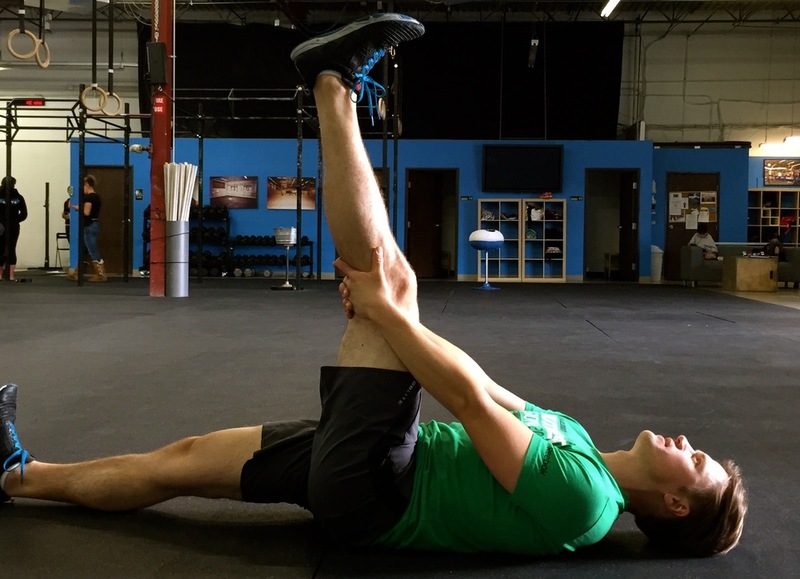 This mobility homework should only take between 4 and 6 minutes. That's almost no time at all! Newer PostThey're Here! They're Here!